This crock pot pork roast recipe is a 3 ingredient crock pot recipe that takes less than five minute to prepare. It is so easy to make. 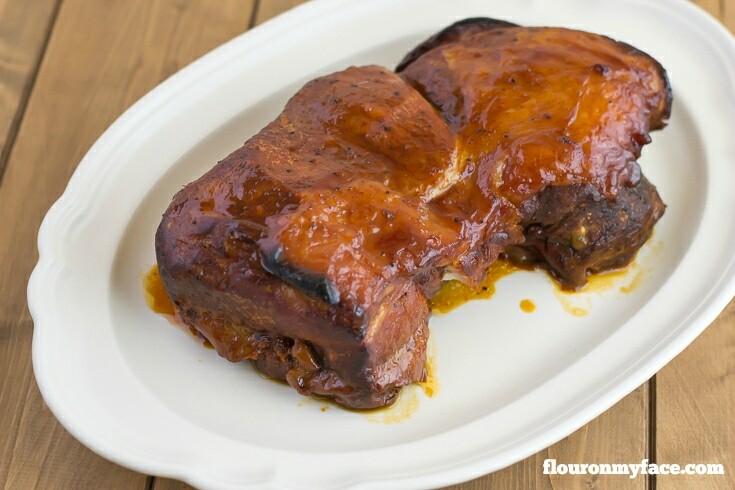 Dump the crock pot ingredients in the slow cooker and you will be serving this Crock Pot Honey BBQ Pork Roast for dinner in just a few hours. 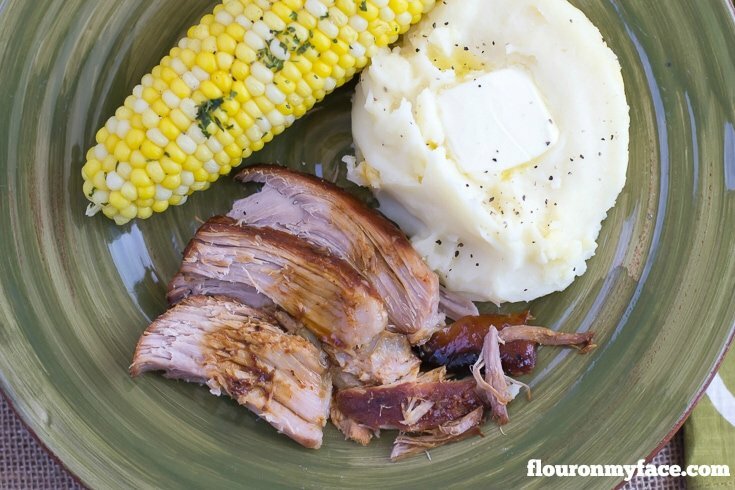 You have two options when you make this easy crock pot pork roast. You can slice it and serve it the way you would any boneless pork roast recipe you might make. Or you can pull the tender boneless pork roast apart with two forks and serve it on a bun for a crock pot pulled pork recipe. If you decide to make crock pot honey bbq pulled pork sandwiches you can double the sauce ingredients and after shredding the pulled pork pour it over and mix it in with the meat before serving it on a homemade No-Knead Cheesy Slider Bun. Place the pork roast in the crock pot. In a bowl mix bbq sauce, honey and pepper. Pour 1/2 the honey bbq sauce over the pork roast and reserve the remaining sauce for basting. Cook on high 3-4 hours. 30 minutes before the roast is done brush with remaining bbq honey sauce,cover and continue cooking for 30 minutes. You can serve this melt in your mouth tender Crock Pot Honey BBQ Pork Roast sliced or shredded on a bun for the best pulled pork sandwiches. 3 ingredient crock pot recipe that takes less than five minute to prepare. minutes before the roast is done brush with remaining bbq honey sauce,cover and continue cooking for 30 minutes. 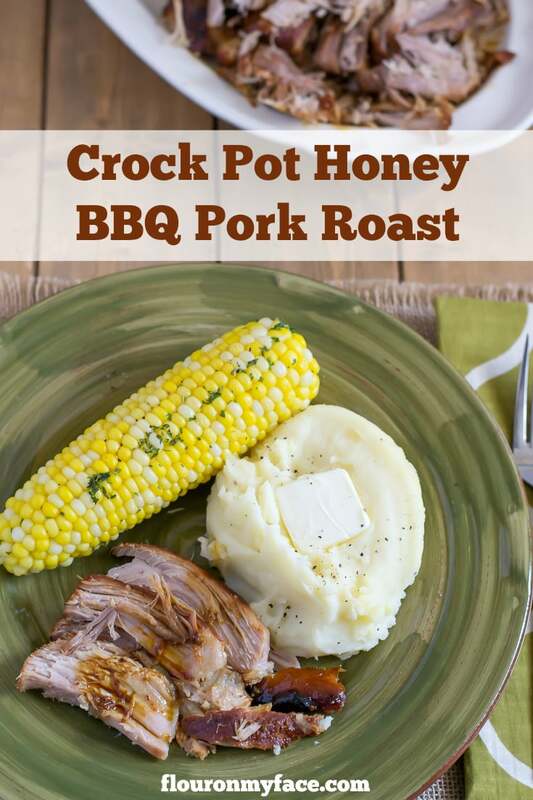 Did you love this Crock Pot Honey BBQ Pork Roast recipe? Want more easy crock pot recipes? Sounds great to me! Thanks for linking up to Merry Monday! Sharing on Twitter! Have a great week! I love crockpot recipes that aren’t soup/stew/pasta/shredded chicken – this looks delicious! I must be craving comfort food because I could eat that plate now! Love easy crock pot recipes like this. Visiting from Share It One More Time. Thanks for the share! Love simple recipes, that I can throw to Together quick for my family of 4! I just put my honey bbq pork roast in the crockpot! Can’t wait to see how it turns out! Thank you for sharing this recipe!!! I was working on my monthly meal plan and came across this recipe on pinterest. Its on the menu for tomorrow night. Super excited to try this tomorrow night! You are so very welcome! Thank you for sharing with a link! Meal planning can be so much fun when you find new recipes! Loved it! Had tacos with it. Corn tortillas red onion and Cotijo cheese. AWESOME! Brain yum that sounds delicious. Glad you enjoyed the recipe! 6 to 8 hours on low depending on how large the piece of pork is.